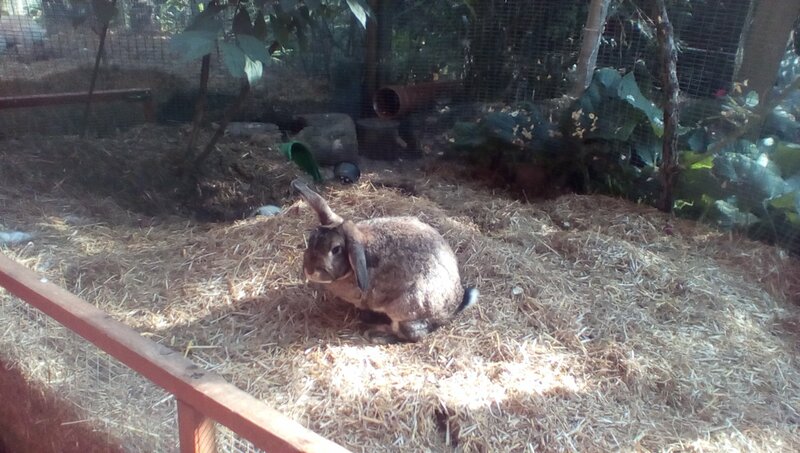 Tiger, who arrived in September 2014, is a half lopped agouti buck. 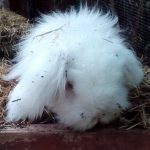 He was probably born in about 2009/10. 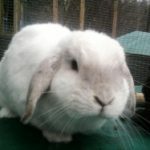 He had been left at a children’s farm, then taken in and neutered, but his partner was taken by a fox so he came to us. 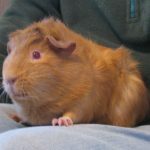 He lives with Ted and Schmettering. 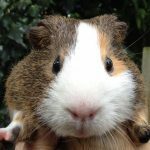 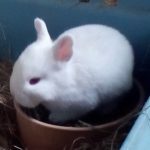 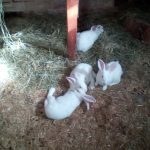 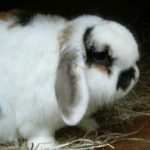 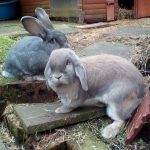 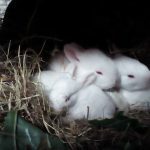 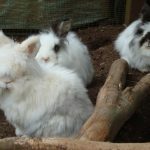 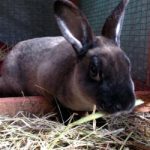 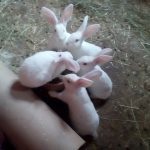 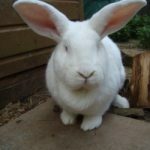 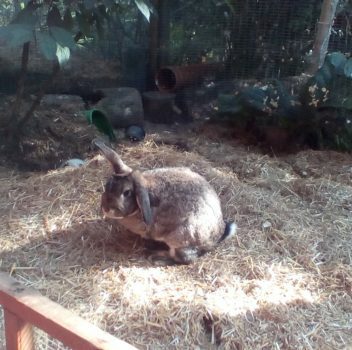 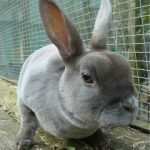 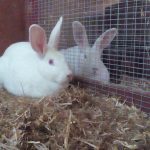 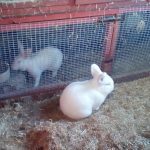 They used to have to live in the old aviary where they didn’t have direct neighbours because they get argumentative with each other when they see other rabbits but since the guinea pig sheds had to be built there we had to move them to somewhere with neighbours. 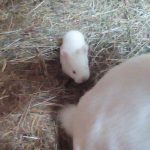 They do still argue a bit but the bond is so well established as they have been a group for years that it isn’t of such concern anymore.